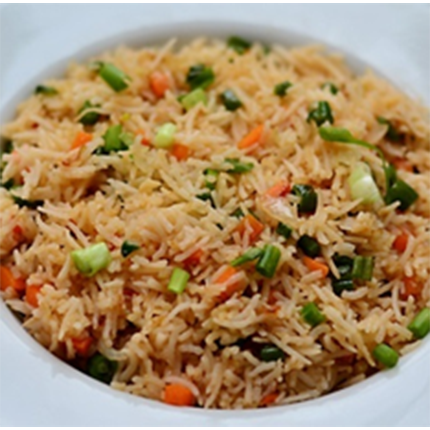 Add a delicious twist to leftover rice. With this recipe, you can use any vegetable of your choice (peas, sweet corn, celery, mushrooms, carrots, cabbage). Within 10 to 15 minutes you have a full meal cooked and ready to eat. Heat oil in a wok/cooking pot, fry the onions until light brown. Add the green chilies and lightly stir. Add the peas and carrot and stir-fry for 1-2minutes, then add salt and sugar and stir well. Add the soy sauce, mix well, then add the cooked rice, combine well (don’t over mix) then sprinkle the pepper and again combine.